We Are Women of Color Making‭ ‬a Mark. 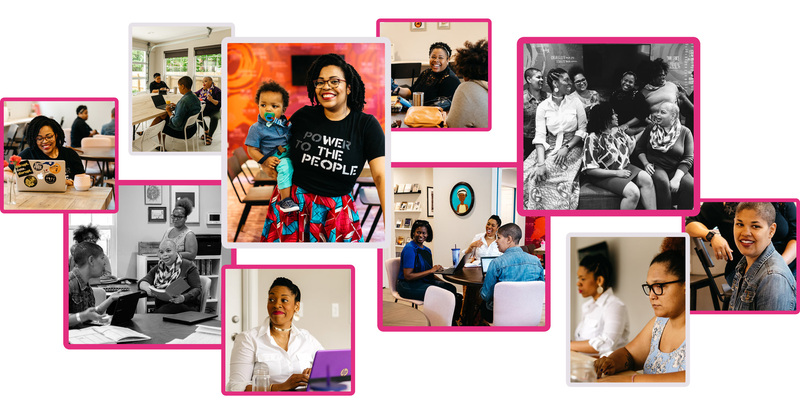 As the only co-working and community space in Central Ohio catering specifically to women of color, our mission is to equip women of color with the clarity, confidence, and community they need to live their best lives and do their best work – all within a curated environment of sisterhood and support. Attend workshops and events, gain access to our lending library with 200+ books by women of color authors, receive our monthly newsletter, dream and scheme with potential business partners and soon-to-be besties. Join a community of thriving women of color making their mark on Columbus today! In 2017, Zora’s House was born out of the idea that women of color in Columbus need and deserve a multi-functional work, community, and event space created specifically with them in mind. We just added something special to our lending library courtesy of @BLoveSoulPower Her latest book #WeWantToDoMoreThanSurvive is a must read! A newsletter dedicated to helping women of color live, work, and play awesomely in Columbus, OH. Sign up for a weekly overview of local events, opportunities, and inspiration in your inbox.